Discover if Salesforce CRM offers the complete sales management, marketing automation, and partner relationship management platform for your business needs in this Definitive Review! Just how easy is it to help organize customer accounts and track your sales leads? Does Salesforce help conduct and monitor marketing campaigns? 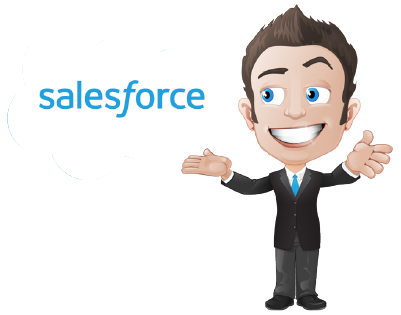 Will Salesforce CRM make managing your contacts, manage your tasks and events a breeze? If you’re looking for a CRM platform, and not sure which system is right for you, then you’ll love this review. 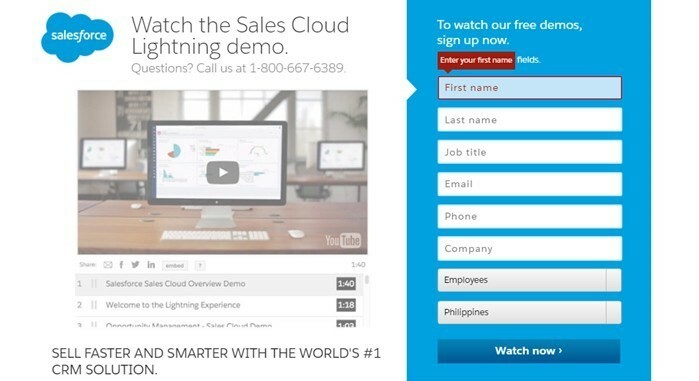 ​Salesforce really does have great CRM, sales management, lead generation and reporting. Salesforce is expensive, especially if you opt to access the more advanced lead generation and managerial features. Salesforces’ design was very basic and did come across as slightly dated with a steep learning curve. Support is not one of Salesforces’ strong points, with long response times that try to upsell instead of dealing with and fixing your concerns. In this review, we will look at the features and benefits that Salesforce offers, so that you have a better understanding of how it works and whether it is the perfect CRM software for both you and your business. So, we all know, buying a CRM Software comes at a heavy price. ​I don’t want you to spend your precious time and money on a CRM that does more damage than good for your business. ​Allow me to take you through a complete Salesforce review. Performance: How does Salesforce perform and what features do they offer to help create the perfect CRM? 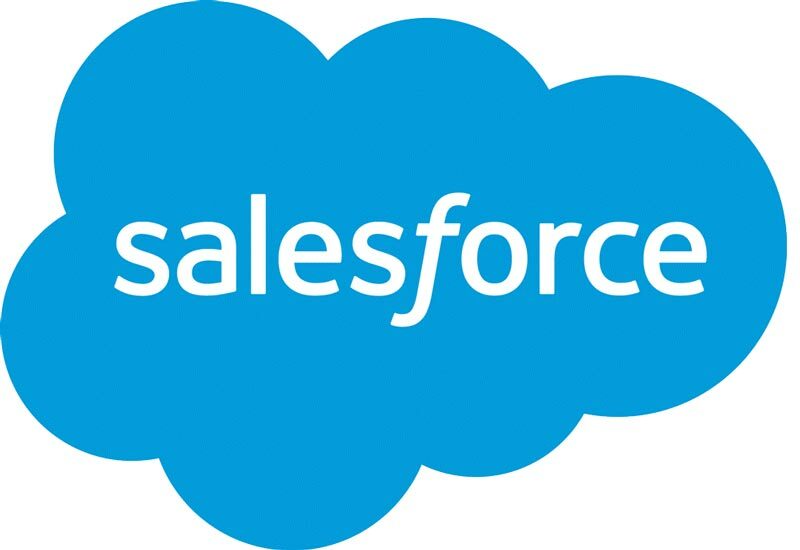 Usability – Does Salesforce offer everything necessary that users expect from CRM software? Support: Does Salesforce offer quick customer support solutions and help, and, can you count on them when it matters most? Cost – Does Salesforce offer the best pricing in the marketplace? AND more importantly, what deals are available that can help you save money? Salesforce CRM is one of the longest running and most popular choices out there for large businesses. This does not mean though, that it is right for everyone. The cost of this CRM varies quite considerably to others that I have reviewed, so be sure you understand what you are signing up for and that it will benefit your business…if you aren’t clear, we do go into more detail in this review to help you make that decision. I can’t say that Salesforce is the best CRM in town. It has some good points that would really benefit you and your business, but it also has some bad points that might discourage you from buying. Read this Salesforce review. Then you don’t have to waste time looking for a CRM that would be best for your business’ needs. If I were to rate Salesforce CRM, I would give it a…3.5 out of 5 stars. I have not given it the perfect rating, and I know quite well why. There are times when I love it, but there were also times when I despised ever using it. In this review, I will be discussing with you all the high points about Salesforce- the ones that you will love, as well as the low points – the ones that let it down. Want to know some even better news? I will tell you things that NO SALESFORCE Representative will ever tell you!! Generally, Salesforce can improve your organization skills when it comes to systematizing all your sales data and your contacts. It can also manage sales opportunities, leads, and your business partners. Don’t stress yourself too much, relax knowing that Salesforce can do it for you. You can be more productive and focused on the more important tasks when you know that you have a trustworthy software to support you. You don't have to look after every little thing in your business; there is software that can automate all of that for you. As well as this, you can get access to its AppExchange market where you can integrate 300 or more third party mobile-friendly apps to at your liking. In this section, you will learn about some of the most used features that Salesforce offers to help you automate your marketing and grow your business. 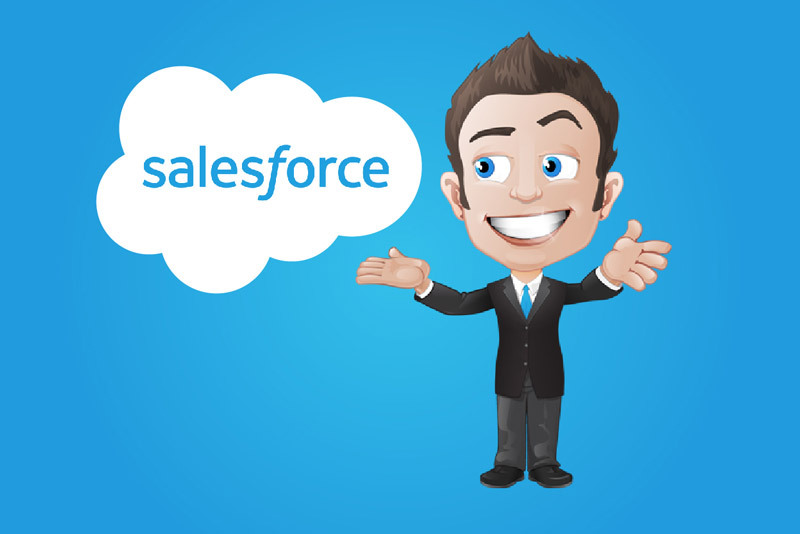 So, what are the BEST Salesforce features? Well, to make things simple and for the purpose of this review, here are the top 10 Salesforce features that I loved, and I bet you probably will too. 1. Monitor and manage your business even when you are on-the-go. You can be away on vacation or be in transit, AND you don’t have to miss anything. A quick check and a few taps on the Salesforce app, and you’ll instantly be updated with the latest opportunities or problems that would arise – minus the hassle and stressful feeling you can get from the long hours of sitting at your office desk. 2. Grab every opportunity presented. Salesforce syncs automatically both your desktop and mobile software application. You can get all the important details of your sales at any moment you want. 3. Maintain communication lines and instantly collaborate with your customers, you’re a team. 4. Access your sales statistics and figures. Get real-time access for your sales data, the status of your services, and marketing figures. Make decisions faster when you have all this data, at all times. WATCH YOUR BUSINESS GROW by viewing the Reports tab and Dashboards from your Salesforce mobile app. 5. Schedule the priorities of your day. I know how it feels to be drowning with so many ‘priorities’ and pending tasks. Salesforce can organize it for you by letting you have a comprehensive, yet very clean, interface arrangement of all your tasks, meetings, and other account details. You can simply go to their Today tab to view all these and be reminded of all your activities for the day. 6. Respond to urgent messages. You can get alerts from those urgent messages and posts in the Notification Centre where you can see other’s posts and requests for your approval. All these are seen through your notifications, and you can send your response immediately. 7. Locate your files and data quicker. Gone are the days when you had to open folder after folder just to look for a single document. Now you can find what you need in just seconds with the Salesforce Smart Search. You can get your search results through by typing a single word, asking a question, or you can find your recently opened records. I find it handy to be able to have this automatic integration of your Office documents as well as other files like spreadsheets and slideshow presentations right there, in my Salesforce. It has become easier to share it with my team, and I NEVER lose my files now. 8. Close deals more quickly and successfully. 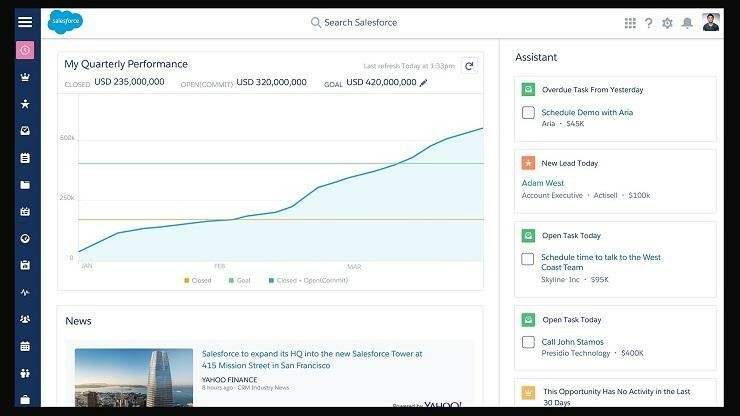 Being a Sales CRM, Salesforce has apps that promote sales production; they allow you to take a quick look at your sales processes, giving you the ability to identify which ones are likely to be the first to close. ​​​​You don’t have to check on every single deal, give your attention purely to those that are about to make you some money. 9. Access and Accomplish tasks and data quickly. The mobile version of the app lets you access and do work on the move, wherever you may be. You can communicate with your staff, drive your sales, stay organized, use your contacts, MOST IMPORTANTLY grab any and all fresh opportunities. Basically, all of your CRM files will be kept up-to-date and sync, so the access is readily available at any time, anywhere. 10. Organise practically everything – from your tasks, particular customer cases and leads. Thought I had said enough about the organization? You’ll be an organizational guru with Salesforce’s Task Organisation, it allows you to check, filter, review, and add more tasks – all in one tab. Be an expert manager with Salesforce’s Case Management that offers accurate and personalized answers to the customer’s queries. Control all your leads through Salesforce’s Lead Tracking feature, which manages the latest leads and the existing ones. The best thing about this feature is you can convert your leads into paying customers wherever you are. Managemultiple data sources with APIs and integration tools that will let you organize all your data from different sources such as your old data systems, apps, and communities. You can integrate sets of data, manage multiples products and services, AND have a singular view of the customer. Access external sources through Salesforce Connect. Expand your resources by using data from other sources, back of the office systems, and legacy systems. The time spent on integration will be dramatically reduced with this bonus feature. Verdict: Salesforce offers a whole host of features, including two bonus ones, that really help users to grow and market their business. Salesforce endorses quick start-ups and does not require any hardware for users to begin using it. No download and installation needed either, yay!!. After the initial set up and customizations, you can immediately begin to start running your business. Your access to real-time sales data will help you to be more efficient with a much lesser response time when dealing with your customers. In this section, we will look at how to navigate around Salesforce together with what help and support are available. You don’t have to be a tech guru to manage the automation of your businesses. Salesforce has a super useful user-friendly navigation bar that makes it extremely easy to find your way around…you don’t have to waste time locating folders and tabs for specific aspects of the business. There are specific tabs for the Home, Leads, Accounts, Campaigns, Contacts, Forecast Files, and Opportunities. You don’t even have to spend time training your staff how to use it because the UI is very intuitive in nature!! Because Salesforce is able to track everything for you, managing a business is made simpler and stress-free. It tracks the completed tasks, any calls made, or emails sent together with the status of the sales. But how easy is to use? Well, what needs to be considered is how much time are you prepared to spend learning a new CRM before you make the decision to purchase it. Generally, medium to large size companies that do have sufficient in-house tech support usually describes Salesforces CRM as being nice and easy to use. They do outline the long implementation process – which is to be expected when dealing with such a highly customizable and sophisticated system. The learning curve, however, can get a little steep when it comes down to users understanding how the CRM actually works. This general assessment does mirror some of the aspects that I experienced when using Salesforce. I mean, was impressed with the intuitive design that it offered, geotherm with its clean layout of tabs and menus. But, it must be remembered, that a reviewer, I suppose you could say that my knowledge of CRM systems is above average, so in order to get a better overall view of how easy it really was to use, it was important to look at responses from a wide range of sources. As a result of my research, what was noted was that small organizations (who weren’t very ‘techie’ did report that Salesforce was both confusing and difficult to use and implement. They described their frustration in trying to figure out how to set up basic user permissions as well as manage the admin of the implementation process. Many had to eventually resort to Salesforces support services – which were both costly and time-consuming. To begin with, Salesforce does offer a 30-day trial – which I think should be the industry standard. I always think that it’s great when companies allow you the time to make your way through all the different phases of their software before you commit yourself. Once you have signed up for the free trial, a prompt will display asking what your specific role is within the organization, for example, company owner, sales representative, sales manager, information-technology professional, etc. What this does, helps Salesforce to customize the product tour to you and only show relevant features. 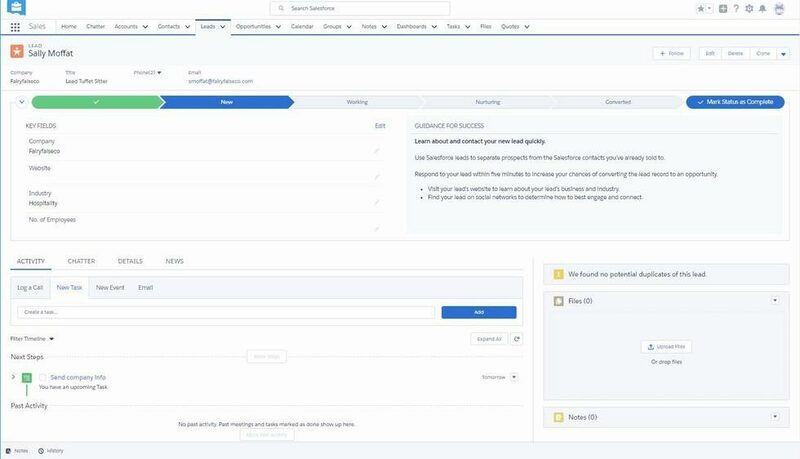 On the left side of the screen, you will see a tray marked ‘Walkthrough,’ this will list tasks that you need to perform, such as creating a bespoke dashboard, managing your pipeline and integrating with other apps. If you click on the ‘getting started’ tab which is located on the top of the screen, this will direct you to a video tutorial with which includes a PDF of the user guide. The walkthrough, tour and getting starting tab, I thought were really useful, though, since the UI facelift, the Lightening dashboard is not as overwhelming as previously. The menu options are still located at the top of the page, using a tabbed interface. ‘Home’ is where you will find the news feed displayed together with updates and notes from other users. The bottom half of the screen displays a dashboard, which is completely customizable using drag-and-drop, with the lower section of the page displaying tasks and your calendar with any scheduled events. The remainder of the menu is fairly standard: contacts, leads, accounts, reports, opportunities, chatter, dashboards, files, products, and forecasts. At the top of the screen is a universal search bar which sits very snugly. Are you interested in seeing how the software actually works? 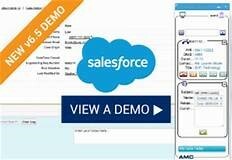 How about a quick Salesforce demo? Yes, but how do you get one? The good news is that Salesforce does have free demonstrations; however, the bad news is, you have to sign up via their website. What it will do, is demonstrate to you how Salesforce works for your business right from the leads generation down to insights analysis. I’m pretty sure that once you have watched the Salesforce demo, you’ll know whether Salesforce is the best CRM for you and your business. It’s all rather impressive, don’t you think? Salesforce has lots to offer businesses. Of course, though, these gorgeous features all come with a price tag. Now, I must be honest here, the pricing of Salesforce did come as a huge shock. Initially the pricing did seem reasonable; however, I soon learned that its basic features just wouldn’t do, and I would need to purchase extra features for the functions that I really did need for both my customers and my business. I was really motivated by what Salesforce could do, so was no way prepared for the extra costs that I would have to pay in order to get the services that I actually needed to succeed. I mean, in all honesty, I could get pretty much the same features from other CRMS AND at a lower price!! In a nutshell, the customer service is pretty poor. Ah, but wait, if you are looking to purchase a new product or upgrade your account, then this is the only time that you are able to contact anyone. You could, of course, opt to purchase the customer service package – yes, that does mean paying more money. But what this does, it allows you to contact VIA TELEPHONE the customer support agents – now, without this, you will need to submit a ticket which can take up to a WEEK to resolve, gulp… What gets me is why should you pay extra just to receive quality service for a product that you own anyway. Another thing that I have seen is Salesforces offer of giving customers the opportunity to receive updates/fixes to the service, now I’ve been told that these can remain in the queue for anywhere between 3-5 years, THIS ISN’T ON SALESFORCE!! Surely, if it’s a change that most of your customers are demanding, then ‘priority’ really is the buzzword here. Salesforce needs to ensure that any new products that they push out are monitored and improved – not abandoned!! Verdict: Salesforce does have a slightly steep learning curve which ’non-techie’ users may find challenging and the waiting time for support quite honestly really isn’t acceptable. If you try to open Salesforce.com in either Chrome or Safari on your iPhone, Android device or iPad, all that will happen is you will end up clicking, zooming and struggling just to tap on the right spot. In this section, we will look at Salesforces mobile app functionality and see which the best Salesforce App for Androids and iPhones is. Salesforce Mobile for Android and iPhone provides basic access to your central Salesforce data all by the use of a touch-friendly interface (the app can run on iPads but wasn’t designed for iPad screen sizes.) You can search for Accounts, Opportunities, Contacts, and Leads —it’s all in there PLUS you are able to input and edit your data, as well. 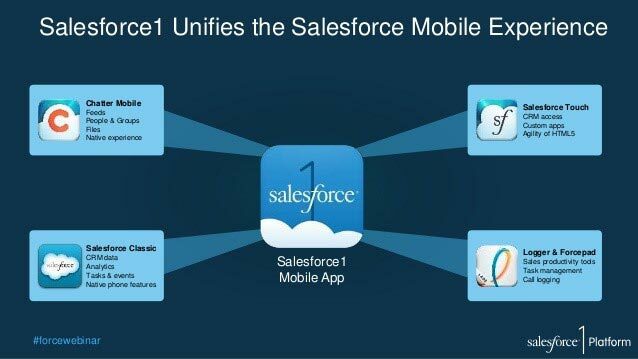 Keep in mind that the Salesforce mobile app only operates on a one user per device ratio, which means you couldn’t be logged into two mobile devices at the same time. When your Salesforce account is activated via a different mobile device, all local data will be erased. So, it is advisable for users with several devices, for example, a tablet and a smartphone to opt for the single device application to avoid repeated logins. 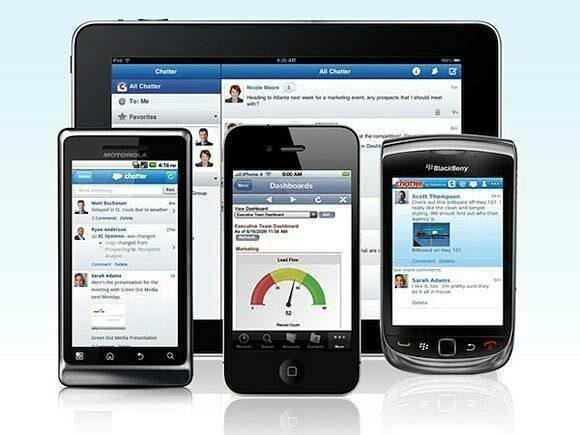 Salesforce has created two apps for the iPad: Salesforce Touch and Salesforce Mobile Dashboards. Salesforce Mobile Dashboards can be used to explore and view your Salesforce dashboard (no surprise there!!) whereas, Salesforce Touch allows you basic access to your Accounts, Opportunities, Tasks, and Contacts. Both of the iPad apps to provide the necessities to support Chatter, which is Salesforces enterprise social network. If you use Chatter via the mobile dashboard app, then you are able to comment on reports and dashboards. 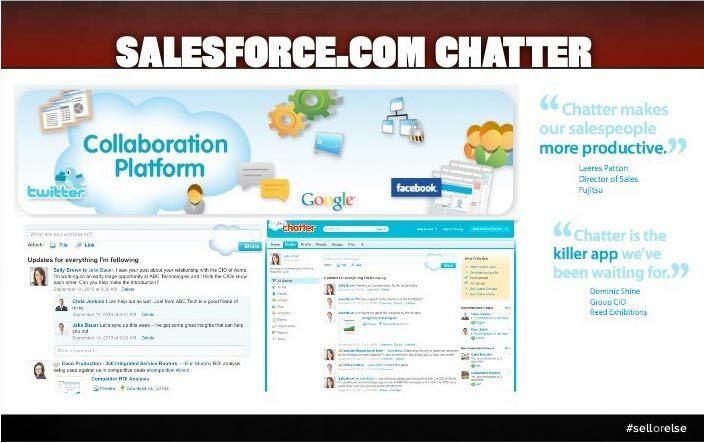 The Salesforce Touch app allows you to update text together with the capability to browse the Chatter stream of the organization. Of course, the best way to share Chatters updates is… yup, you’ve guessed it…. via the Chatter app!!. As well as iPhone and iPad versions, there are Android ones available too. What the Chatter app does, is it enables you to share photos and text and enables you to ‘mention’ other uses via their username with the prefix of the @ symbol. The iOS version also includes the capability of sharing files which have already been uploaded onto Salesforce via other users in Chatters posts. Within Salesforce Labs are two extra apps which are ForcePad and Logger. Now according to the description, ‘Labs’ apps are unsupported and unofficial BUT still completely awesome. Well, Loggers primary focus is around logging actions which are linked to Salesforce accounts, contacts, leads, and opportunities. For example, you would look up a contact, then ‘log’ an action for them. Actions include making notes, checking in, noting a call, or writing an email. The great news is that Logger is available for Android and iPhone devices. ForcePad allows you to browse Salesforce on your iPad and is touch friendly. The touch menus which are located on the left-hand side, allow for easy ‘tap’ access to all the Salesforce data – which you will see on the right-hand side. The date is illustrated in the same way that it would be if you were accessing it using Safari on your iPad. The app buttons really make navigation so much easier and much simpler for the user rather than a browser. The reason that all of Salesforces installable apps exist is for ease of use and to slot in with its visionary message of ‘no software.’ This is definitely becoming very real for laptop, and desktop Google Apps and Salesforce users and I must say that I am so looking forward to the day that all that is needed is a browser on all mobile devices – however, we’re not quite there yet. 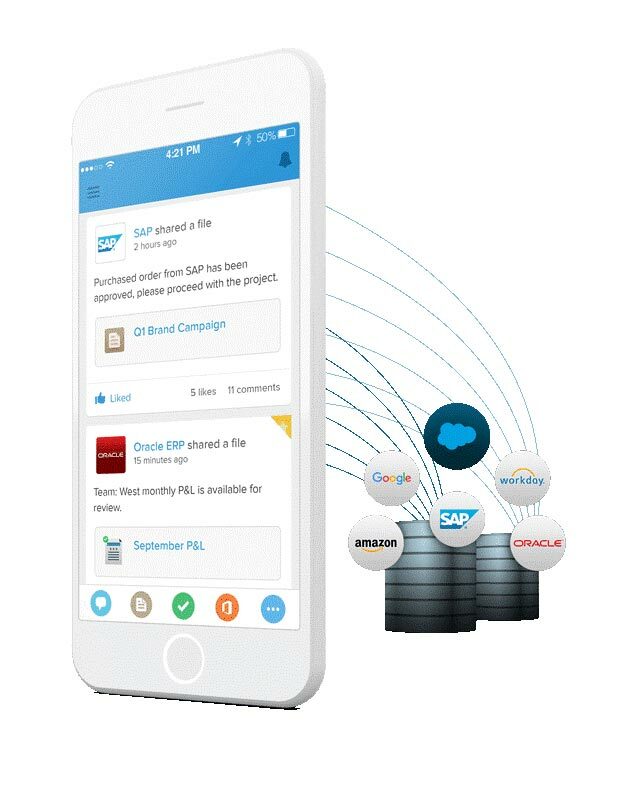 Verdict: Salesforce mobile for Android and iPhone does provide basic access to the users central Salesforce data, and with the introduction of ForcePad they really are moving in the right direction. In this section, we will look at what apps, services, add-ons, and campaigns are included in Salesforce. Do they live up to expectations or are they as useful as a paper mac in the rain? 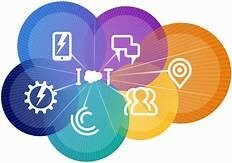 Salesforce has an extremely large third-party app marketplace, which means that you will most likely be able to integrate the CRM with basically every business app that you already use. 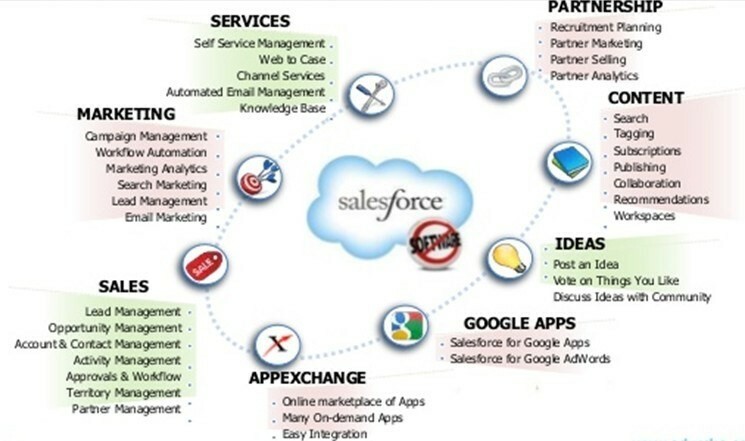 The Salesforce AppExchange was launched back in 2006 and offers over 3,000 apps and has enabled over 3.8 million business app deployments (according to Salesforce). There is also a wealth of available add-ons which add layers to the functionality of the CRM experience, at both the Unlimited, Enterprise and Professional tiers. By using the SalesforceIQ Inbox, users are given a suite of desktop and mobile productivity apps which include calendar and email integrations that include smart reminders of leads and pressing deals. Now, Wave Analytics provides more, shall we say, business intelligence (BI) to the sales process itself and features natively integrated dashboards which display both quarterly and year over year performance, any risk indicators and it also forecasts metrics via the pipeline trending functionality. 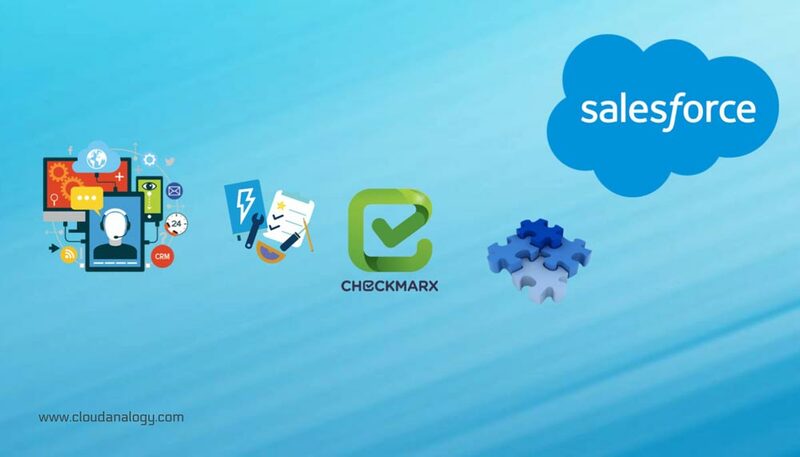 Another great add-on was the Steelbrick CPQ (configure, price and quote), which is Salesforce’s quote-to-cash automated engine for configuring products as well as pricing for up-sells, cross-sells, contract and proposal generation together with invoice and payment processing. The add-on list does go on and on and on average cost between $25-$75 each. Now, you must keep in mind that the cost can quickly spiral once you include the premium that you are already paying, however, for specific users, the addition of these add-ons can really be a valuable addition to the CRM capabilities. By using third-party data integrations, you can create much more of an engaged employee and customer experience. With the use of the Salesforce Platform, you can unite disparate systems – data that exists in the supply chain, external ERP, HR or on-premises software such as Oracle, SAP, and Microsoft to create a unified customer view. Verdict: Salesforce’s rather large third-party app marketplace means that it really is a force to be reckoned with. Combined with its add-ons it really boosts the functionality of the CRM experience. Once you have been using CRM management to manage your deals and leads, you will want to see how successful you’ve been together with the areas that perhaps need improving on. Look for software that includes reporting features, especially ones that can be customized so that you can see what types of customers and responding and how employees are performing. 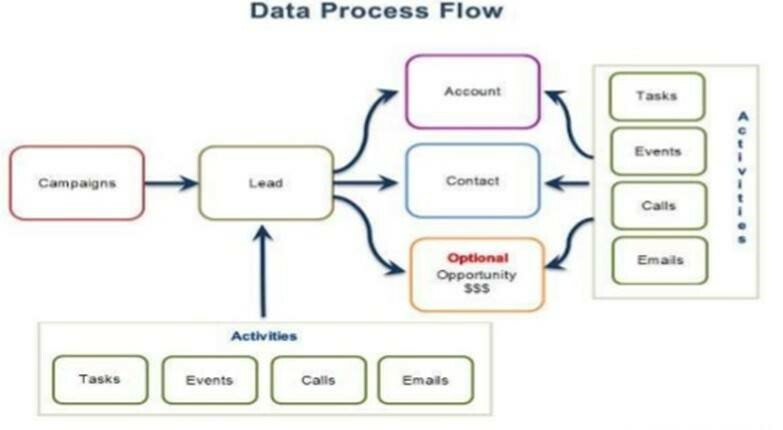 So, let’s have a look at what analytics and reports that Salesforce offers to ensure that you can always be kept in the loop. Salesforce Einstein Analytics provides comprehensive analytics to all business users. It combines interactive data visualization with machine learning which in turn delivers insights and data-driven applications for all of its business users. This platform is the quickest path from data to actionability. With a seamless integration to Salesforce, users will have access to stunning data visualization together with actionable insight – exactly where they work. Einstein Discovery examines millions of data combinations automatically and then rather quickly works to uncover unbiased answers, recommendations, and explanations. It also converts insights into actions and integrates seamlessly to the Einstein Analytics Platform and Salesforce. Einstein Analytics includes templates which are purpose-built across all lines of business. It really is a thriving ecosystem and ranges from Sales to Service and ERP to HR. Now, this enables you to sell smarter EVERYWHERE. By using this, you can quickly turn data into sales – on any device. This enables you to analyze field history data in any Salesforce object so that you can see when, how and where members of your team have changed data. Pipeline Snapshot data takes any dataset (whether it’s from a Salesforce Trended Report, Snapshot Analytics template or an existing snapshot dataset) and plugs it directly into the Pipeline Waterfall dashboard by the use of clicks rather than code. With this, you can get an insight into how effective the quoting process is via regions, teams, and products. Take data snapshots with ease and then use the pre-built dashboard to compare them or alternatively use the dataset to create your own custom dashboards. Gives financial services organizations a quick way to begin their Analytics journey. This also provides actionable insights about client interactions and accounts. Verdict: Einstein Analytics ensures that all business users have comprehensive analytics at their fingertips and converts insights into actions. Remember, Salesforce may not be the right CRM for everyone, so let’s try to get down to who precisely this tool is going to be suitable for. Definitely not recommended for those who are watching the pennies, as there are other CRM on the market that provides the same services but for a fraction of the cost. Salesforce is much easier to use for those that have some tech-knowledge. Total beginners may find the learning curve a little steep. Salesforce is great for companies that are operating at a higher level, and that has a dedicated support team. It provides all the necessary marketing tools to ensure a collaborative and productive environment. Well, that’s it. I’m now nearing towards the end of this review, and I hope that it has given you an overall idea what Salesforce has to offer. I’m guessing that the final and most important question is though – Is it ‘THE ONE’ – I mean the CRM for YOU and your WEBSITE? Salesforce does come in rather more expensive than other CRM’s that are available on today’s market. Because of its flexibility, businesses can modify Salesforce exactly to their needs and workflow, rather than having to adjust to the current interface. It may not be as attractive or modern as some of its competitors, but because of the shed load of analytics, features, and customization that it packs, it is definitely a CRM that deserves consideration. Salesforce Marketing Cloud is thought more of as an overall platform solution rather than just a simple email marketing programme. For small companies that are perhaps looking to send out a newsletter or the odd event notification, then this is software overload, and way too much that is required to get the job done. If, however, you are a medium to large company that has a dedicated tech support team (or are slightly ‘techie’), then Salesforce is more than capable of providing you with the marketing tools needed for both you and your business. Salesforces biggest stumbling block is its hidden costs combined with the uneven and painfully slow customer service. But, if you aren’t deterred by these things, then Salesforce definitely has a tremendous amount to offer you.